The 2018 Maruti Suziki Ertiga has been launched and here is all you need to know about the new seven seater 2018 Maruti Suzuki Ertiga. New Maruti Suzuki Ertiga is build on a new platform and has grown in dimensions. 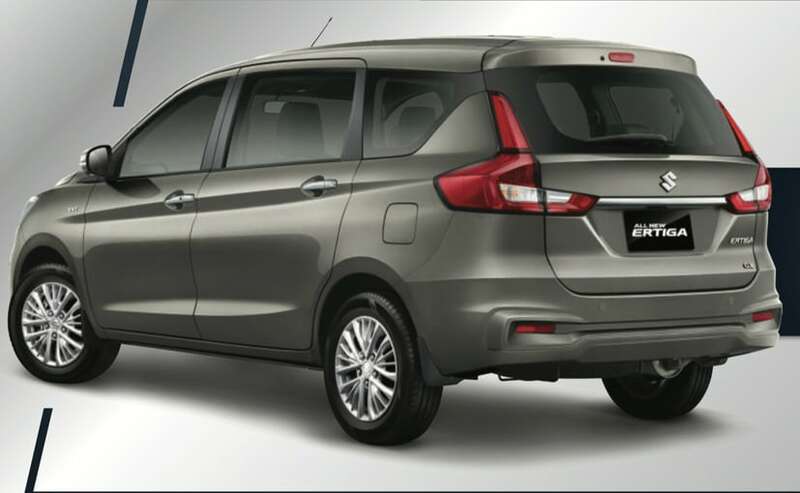 The new Suzuki Ertiga has been showcased for the first time at the annual Indonesia Auto Show. The Ertiga has been an important car for Maruti Suzuki since its launch in 2012 and over 7 lakh Ertigas has been sold globally - a majority in India. Although Maruti Suzuki gave the current Ertiga a facelift a couple of years ago, the MPV has been chugging along at about 4500-5000 units a month. The new Ertiga could possibly make it to the Indian market by late 2018 or early 2019 and will feature both petrol and diesel engines. While the diesel will get the micro hybrid SHVS system, the petrol will also be available in a CNG+Petrol combination, which sees great sales in the private and fleet markets. So here is all you need to know about the new seven seater 2018 Maruti Suzuki Ertiga. The new Maruti Suzuki Ertiga is now larger and most certainly a lot better looking than its predecessor. The new car has a very similar design language to the likes of the new Toyota Innova Crysta (read more about design comparisons here) and has an upright face with larger sleeking headlamps. The grille too is well detailed and the bumper still gets that winged and vented look to it which the current gen car also gets. 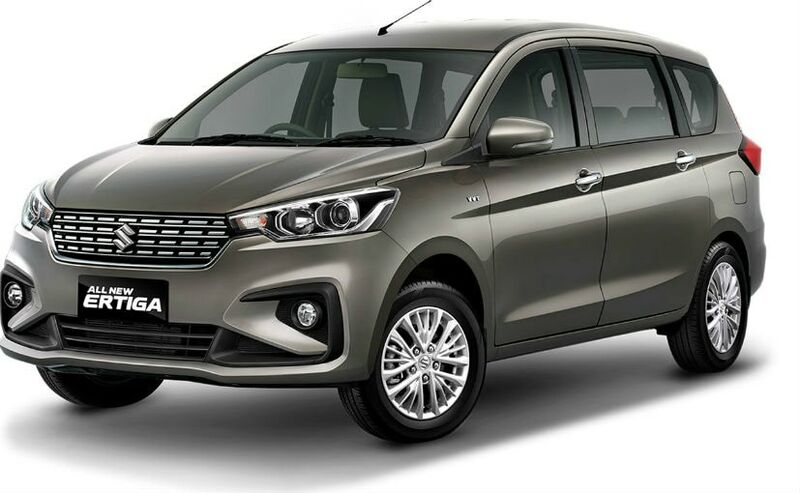 The Ertiga sticks to the 15-inch wheels, which could go larger in India considering the Maruti Suzuki Vitara Brezza is running on 17-inch wheels. Viewed in profile, the Ertiga gets an Innova Crysta like greenhouse with a slanting third row window and a floating D-pillar design. The Ertiga also gets a completely redesigned rear end with V-Shaped tail lamps that look rather cool - almost Volvo XC60 or V90 Cross Country like and a sportier rear bumper. All in all, certainly a big step up from the previous gen! The car will be available in 7 colors. The design on the new Ertiga is very typically Maruti Suzuki. In fact, there are several references to the dashboard and design used on the likes of the Maruti Suzuki Ignis and the Maruti Suzuki Dzire. 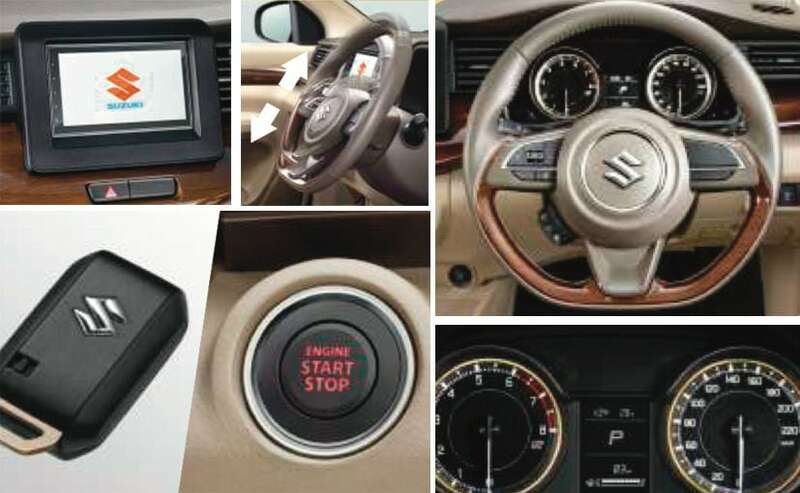 It gets beige faux leather interiors with wooden inserts, a flat bottomed steering wheel and the typically Suzuki infotainment system with a touchscreen. 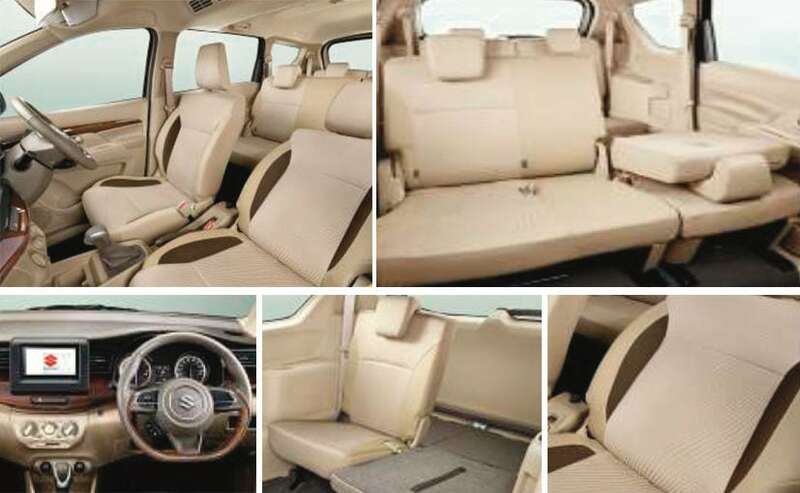 The car also gets seven seats, which is one of the biggest draws to the Ertiga - especially from the Indian public. We already mentioned above how the new Ertiga has seven seats, but it also (as expected) roof mounted AC vents for the rear passengers. The touchscreen in the central console packs in Apple Carplay and Android Auto along with the basics like navigation, Bluetooth and USB connectivity. The Ertiga also gets a start stop button, reverse parking sensors and camera, key less entry and ventilated (or cooled) bottle/cup holders. The middle row of seats have a 60-40 split while the last row folds down flat to accommodate luggage too. In terms of safety features, the Maruti Suzuki Ertiga packs 2 airbags, ABS, EBF and ISOFIX as standard. The car seen here in Indonesian spec will now have automatic climate control, however, the Indian spec car will. The Suzuki Ertiga, in Indonesia, will get a new 1.5-lire K15 Engine. 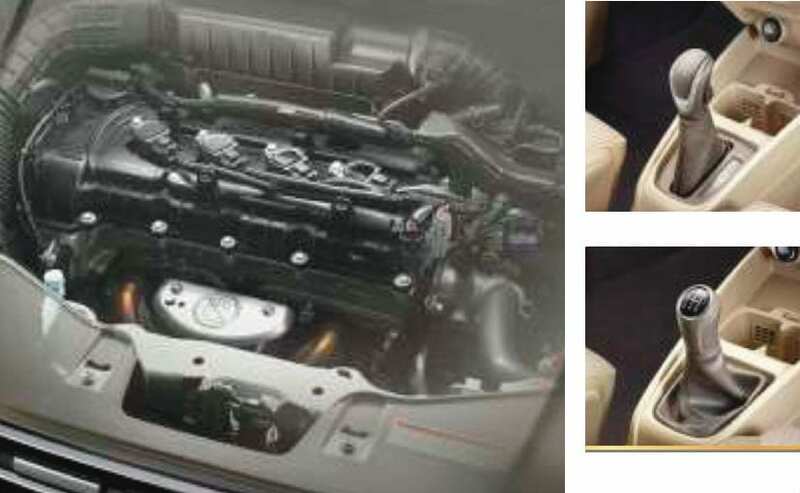 The engine is more powerful that the 1.4-litre engine that the Ertiga currently gets. The new engine, a 4-cylinder makes 104 bhp of peak power and 138 Nm of peak torque. The car will continue to be a front wheel drive with the power being transmitted through either a 4-speed automatic or a 5-speed manual. The car will now be based on the much lighter Heartec platform that also underpins the Dzire, Swift, Baleno and Dzire. 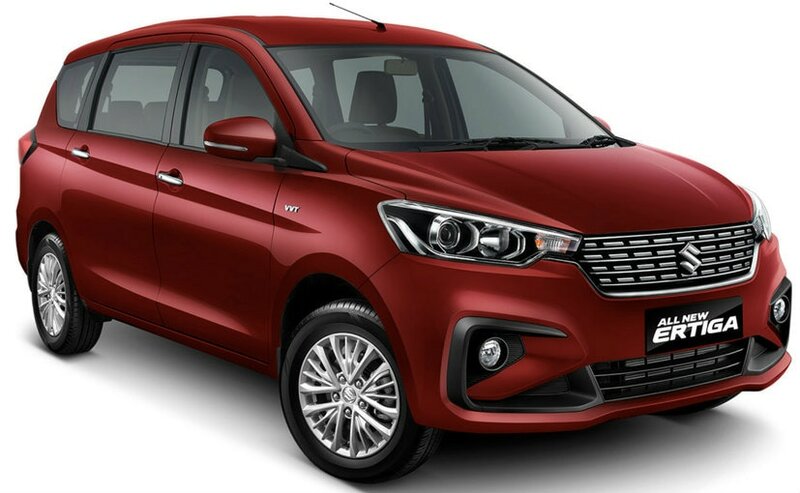 While internationally the Ertiga does not get a diesel engine, India will most likely get the G13B diesel with the variable geometry turbo making 90 bhp and 200 Nm.